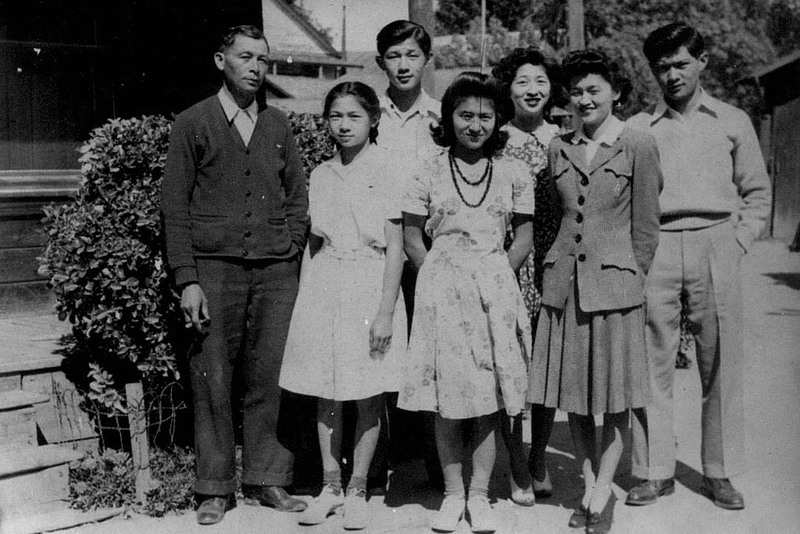 From left to right: Hoon Owyang and children Esther, John, Louise, Margaret, Mary, and William, taken around 1944. 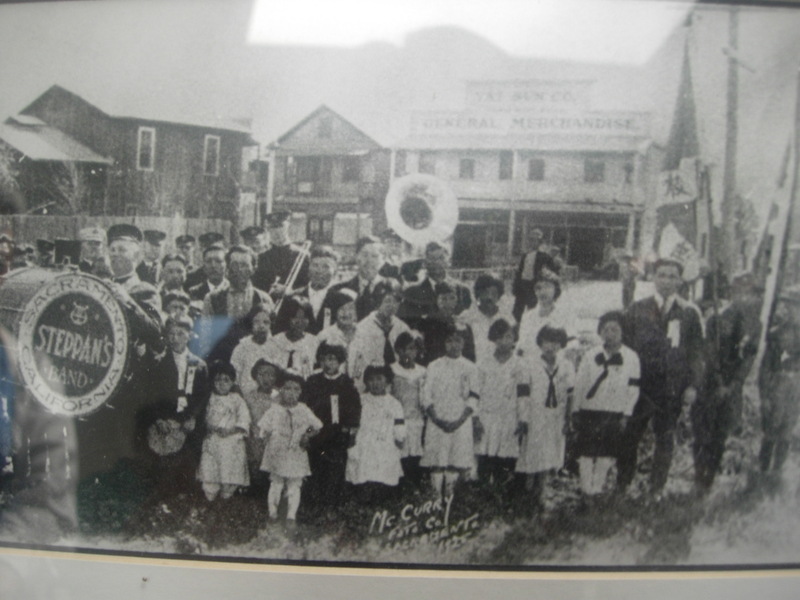 Portion of a photo of a 1934 memorial for Sun Yat-Sen, the "father of modern China" and native of Zhongshan (formerly Heungshan) district in Guangdong Province where many Courtland residents including the Owyang family originated. The Owyang residence is in the background next to the Yat Sun Company. Many of the Courtland buildings still remain standing, but the Owyang house was demolished long ago. Photo courtesy of Sonya Chan.